2008 reissue of their 1970 album, Question of Balance. The album was an attempt by the group to strip down their well-known lush, psychedelic sound in order to be able to better perform the songs in concert. 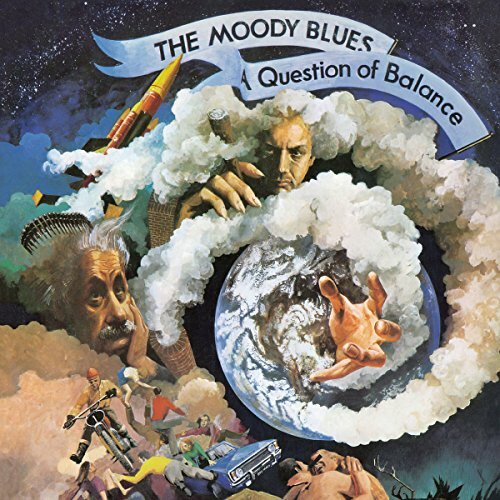 For the first time, The Moody Blues used political strife as a basis for songwriting with the UK number two hit in May 1970, "Question", which dealt with the controversy resulting from the ongoing Vietnam War. The album reached #1 in the UK and #3 in the U.S. In 2008, Moody Blues reissues its first seven album releases, each with bonus content and each release in this set of their first seven evolutionary albums includes a varying number of special mixes or versions of songs that are also represented in their final form on the respective albums from their highly spectacular career. 10 original tracks plus six bonus.